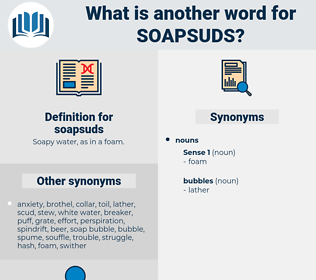 What is another word for soapsuds? 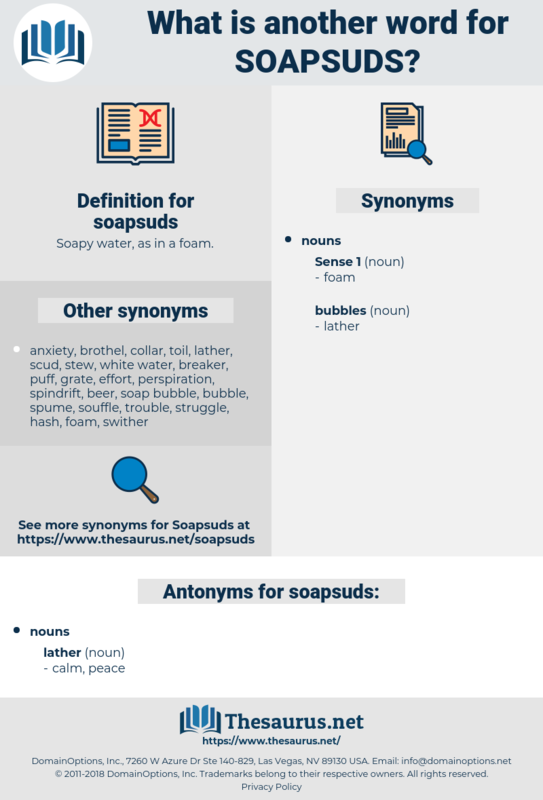 Soapy water, as in a foam. Ten people lived and slept, ate and cooked there, and it looked as if it had never met a broom or soapsuds. I never 'ad no partic'lar fancy fer dirty clothes an' soapsuds, but in my time, which ever way I went, I never ran agin the drorin' - room carpet an' the easy - chairs. spaghetti squash, subsidise, subaquatic, subsidize, subject case, sweepstakes, spastic, spaghetti sauce, sophistic, Sea Of Okhotsk, Sub Judice, suppositious, sebastodes, supposititious.